Along with the fireworks and prospects of mixed economic sentiments worldwide, 2016 is greeted with yet a fresh batch of bag bans in some countries. Are we heading for a bag-less future, asks Angelica Buan in this report. There is simply zero justification for manufacturing any more thin film single-use plastic bags.” This was the strong statement from the United Nations Environment Protection (UNEP) Executive Director Achim Steiner, as cited in a 2009 published article on marine litter. But this is just the tip of the iceberg as regulations for use of petroleum-based plastic bags grows on a pandemic-scale. The first country to ban polyethylene (PE) shopping bags was Bangladesh, starting from 2002, in the wake of severe flooding that submerged large portions of the country. The ban was expected to unclog waterways and sewage systems of waste plastics. Since then, other countries have followed suit. China also began implementing country-wide restrictions on plastic bags from 2008. This included outlawing production, marketing or use of plastic shopping bags less than 25 microns-thick, as well as levying a fee on usage of the bags. Between then and now, the wave of global sentiments against plastic bag waste has not ceased. In fact, 2016 has opened with more regulations enacted on plastic bags in various nations, as marine litter becomes a full blown case. In this regard, plastic bags are not directly indicted in the issue, but marine and land-based activities, such as poor practices of solid waste management, according to the European Commission (EC) on its website. But unfortunately for waste plastics, they have been found to constitute a big bulk of the littering issue than other waste materials, hence the imposition of stricter regulations. The Malaysian state of Malacca enforced an initiative on the very first day of 2016, which was a Friday. 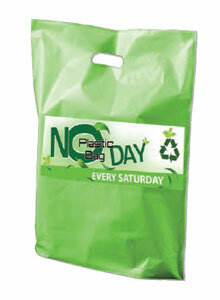 Its “No Plastic Bag Day” campaign runs every Friday, Saturday and Sunday. Supermarket and shopping mall patrons are, thus, ditching plastic bag usage for reusable and biodegradable shopping bags during those blocked out days. Traders found to be infringing the law are fined as high as RM250. In the Philippines, a new plastic bag ban policy will be invoked at the Clark Freeport Zone, a former US military base in the province of Pampanga, starting April. The Freeport houses business consignees, the Clark International Airport Corporation (CIAC) , Philippine Air Force (PAF), Clark Special Economic Zone, and other government entities. The use of plastics and non-reusable, nonbiodegradable materials, including polystyrene, will be prohibited inside the Freeport , the Clark Development Corporation (CDC) said, adding that the ban will be done in phases. Violators will be fined, plus business establishments will have their business registrations revoked, upon committing the third offence. In the Indonesian city of Bogor, a fee wi l l be charged on the use of non-biodegradable plastics, starting February. Aside from Bogor, this also applies to 21 other cities across the country, including Jakarta, Bandung, Bekasi, Depok, Tangerang, Solo, Semarang, Surabaya, Denpasar, Palembang, Medan, Balikpapan, Banjarmasin, Makassar, and Ambon. Likewise, welcoming the New Year with a ban, the Dutch government is disallowing the giving out of free plastic bags to customers, via a new law that took effect on 1 January. A basic charge of US$0.25 cents per bag will be levied for customers requesting for bags. France also reiterated at the start of the year that it is banning single-use plastic bags starting March. Originally, the bag ban law, which is part of France's energy transition bill approved in July last year, was to take effect on the first day of January, but it was deferred. The bi l l excludes reusable and biodegradabl e plastic bags from the ban, and also suggests other forms of bag carriers. Another law is due for approval on 1 January 2017, and will cover plastic bags used as food packaging. We cannot be certain when single-use carrier bags will finally get a reprieve from the bans, but let us suppose that UNEP’s ultimatum of halting production, sale and use of plastic bags has reached its zero hour. Fortunately, the bans have induced new material developments that can comply with the restrictions on non-biodegradable and non-reusable materials and thus present “greener” alternatives, meaning that a plastic bag-less future may be unnecessary. One such development is the fully biodegradable plastic material created by Colorado State University (CSU) Profes sor Eugene Chen. He developed a petroleum-free plastic by synthesising a material that, when reheated, can be return to its original molecular state, and thus, can be reused. Chen used the colourless liquid Gamma-butyrolactone (GBL ) , whi ch he subjected to a complex cool ing and heat ing process to creat e the biodegradable polymer. While the material is still undergoing further fine-tuning, Chen believes that he has stumbled upon a solut ion for a more environmentally-friendly plastic material. American biotechnology company DuPont Industrial Biosciences and US-based global food processing and commodities trading group Archer Daniels Midland (ADM) have developed a technology that they say can help generate high-performance renewable materials, especially suitable for packaging as well as in textiles, engineering plastics and other industries. The companies have developed a method for producing furan dicarboxylic methyl ester (FDME) from fructose. FDME is a high-purity derivative of furandicarboxylic acid (FDCA), one of the 12 building blocks identified by the US Department of Energy that can be converted into a number of high-value, biobased chemicals or materials that can deliver high performance in a number of applications. It has long been sought-after and researched, but has not yet been available at a commercial scale and at a reasonable cost. DuPont says that what it has developed will enable cost-efficient production of a variety of 100% renewable, high-performance chemicals and polymers with applications across a broad range of industries. The two firms are gearing towards the scaleup phase of the project. They are planning to build an integrated 60-tonne/year demonstration plant in Decatur, Illinois. Chinese bentonite manufacturer Weifang Huawei Bentonite Group has developed a fully biodegradable mater ial , a bentoni te-modi f ied-starch-composi t e (BMSC) that is said to exhibit superior performance, according to panellists from a China Packaging Federation-organised national expert review. Bentonite is a natural clay that is rich in minerals, including calcium, magnesium, silica, sodium, copper, iron, and potassium. The concocted BMSC can be used to make shopping bags as well as food containers, agriculture films and other applications, said Weifang Huawei. It added that the material, which is reported to have recently passed the EU standards in degradable testing for packaging, biodegrades into water, carbon dioxide and nitrogen when deposited in soil. A publ ic school student f rom the Jind dist r ict of Haryana, India, has created a biobased plastic from potatoes for a national-level project. It was selected by scient ists Dr Ami t Bhattacharya and Dr Raj u Sarkar from the New Delhi-sited Indian Institute of Technology (IIT) for further research. Gopal Mittal said that his potato-based project not only could help mitigate the problems of fuelbased plastics waste but that it could also be a way of helping local potato farmers who are not getting good prices for their produce. Biodegradable plastics can be derived from many starch-based materials, according to a thermoplastic starch instructional from the University of Georgia (UGA) in the US. 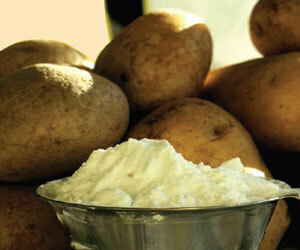 It says that potato starch is a polymer made of long chains of glucose units that are linked together. Plast icisers can be added to soften the derived film or make it more flexible. The Philippine Centre for Postharvest Development and Mechanisation (PhilMech) of the Department of Agriculture is betting on cassava starch to make plastic material for packing farm produce. PhilMech developed a 6 x 8-inch, 150 microns-thick transparent biodegradable fruit bag from cassava starch and polybutylene succinate (PBS). 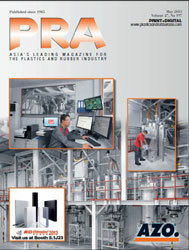 The materials were processed in a twin-screw extruder and then blown on a film extrusion machine. The material’s tensile strength is within the range of low-density polyethylene (LDPE), and its elongation, within the range of high-density polyethylene (HDPE), it said. Working with the National Mango Research and Development Centre, PhilMech is testing the bags to be used in farms for packing fresh produce as well as for other agricultural purposes, such as seedling bags and mulching. It estimates degradation to occur after 36 weeks. A legume-based mater ial i s the concept of the European LEGUVAL project, which wants to utilise by-products of the pulse processing industry (green peas, beans, lentils) as raw materials for packaging and agriculture-use plastic materials, instead of littering the environment. LEGUVAL, a consortium of 12 partners and other European entities, is a three-year R&D project, funded by the EC´s Seventh Framework Programme under the Research for the benefit of SME-associations scheme. The legume-extracted proteins and fibre can be used to prepare plastic material, in the form of films, composites and coatings, for packaging as well as agriculture and automotive applications, LEGUVAL said in its website. 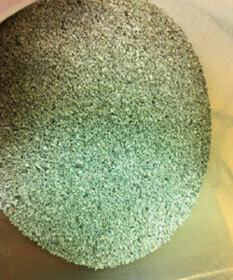 It also adds that the biomass left behind from the extraction can be an excellent source of biogas. 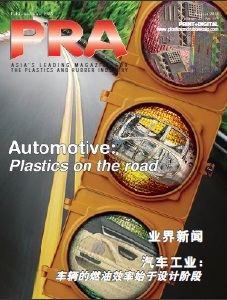 The materials that are developed through this project are expected to be competitive with petroleum-based alternatives in the short term, especially considering the rising prices of petroleum-derived polymers and the lower prices of biodegradable polymers, boosted by increased production in emerging countries such as India and China. Copyright (c) 2016 www.plasticsandrubberasia.com. All rights reserved.